This rod is designed to fish soft plastics on a leader behind a heavy sinker for a couple of good reasons. The heavy sinker helps you maintain positive contact with the bottom and it also creates a lot of commotion. Once you've got the bass' attention, the next thing to come along is the meal ' set the hook. 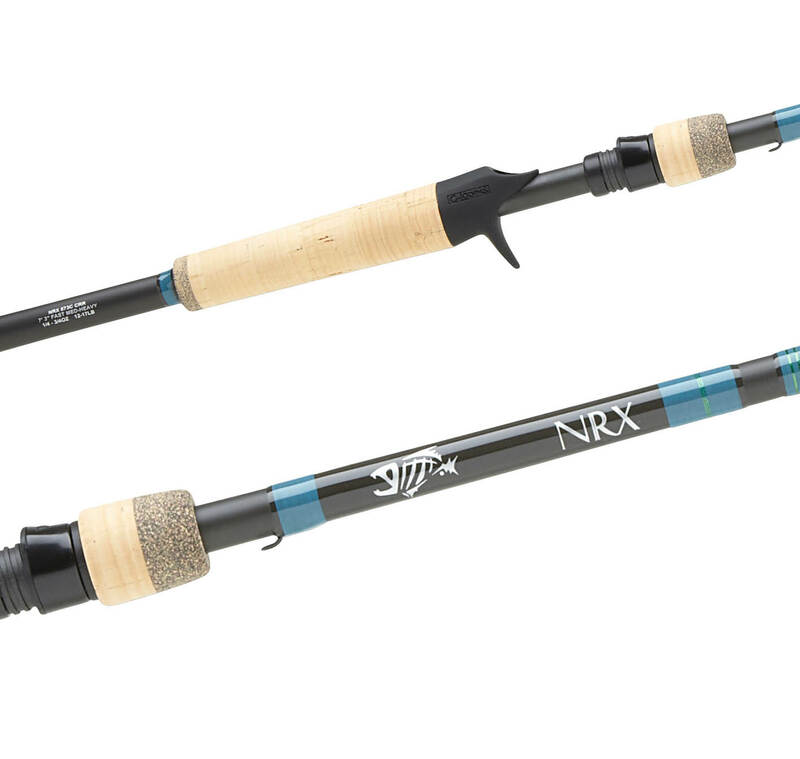 It can be tough to feel the bite because of all that weight ahead of the lure, but because of our NRX Technology, you'll feel everything that happens down there. The extra length moves a lot of line for positive hook-sets. You'll find it difficult to imagine a rod so light can be so powerful - and yet so insanely sensitive you'll wonder how we did it. Our secret ' your advantage.